Hey System 11 and general tech pros! I bought a Bally Game Show in June, played it 5 times and it "blew up" Well, died. I was busy all summer, didn't care much and was refurbing my FT, so GS was on the back burner, forward a few months and now i'm at it! It goes into attract mode nicely and I can go through the entire settings menu. Now, where do I start? Suggestions? Somehting making that coil hit? Something else shorted out somewhere? Thx so much in advance. You sent out the CPU board for repair, but in fact your problem is on the aux power supply. 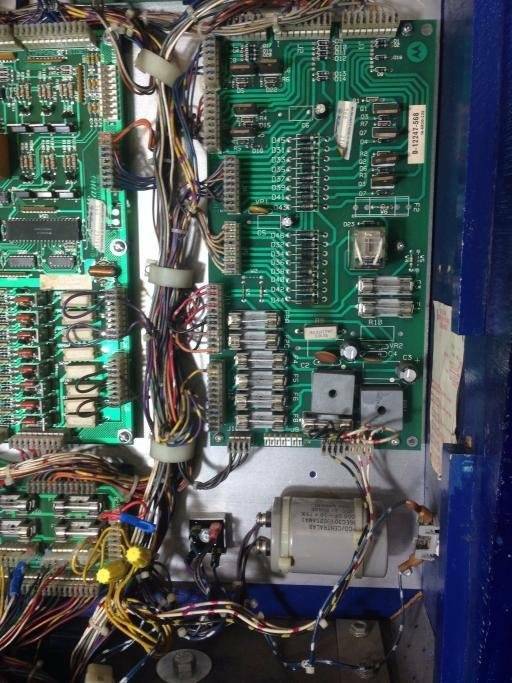 You will need to replace the coil diode and the driver transistor. Both of these parts are on the aux power supply. The CPU was bad either way, wasn't going to be able to skirt around that....The corrosion was bad enough one of the displays didn't work, but now both are crystal clear. Check to see if the jumpers are zero ohm resistors or not. If they are resistors then replace them with a paper clip. Reflow the AC relay joints. for real on the 0 ohm resistors? get rid of them? THere's four of them, use a piece of paper clip? This board had the pops and the shaker motor stop working, jumper W-4 zero ohm resistor went open only during a current draw. It would show voltage on both sides making it look like it was still good. So if you have the board out just change them. Ok. I did some testing and some reading. For the testing, the diode at D5 and all other diodes on board are testing right on the money. BUT the transistor at Q8 like Grumpy mentioned, is not testing correct. I went across the pins of all of the transistors on board and got + or - the same result across all common legs of them, but I have a short across the centre leg and right leg of Q8. 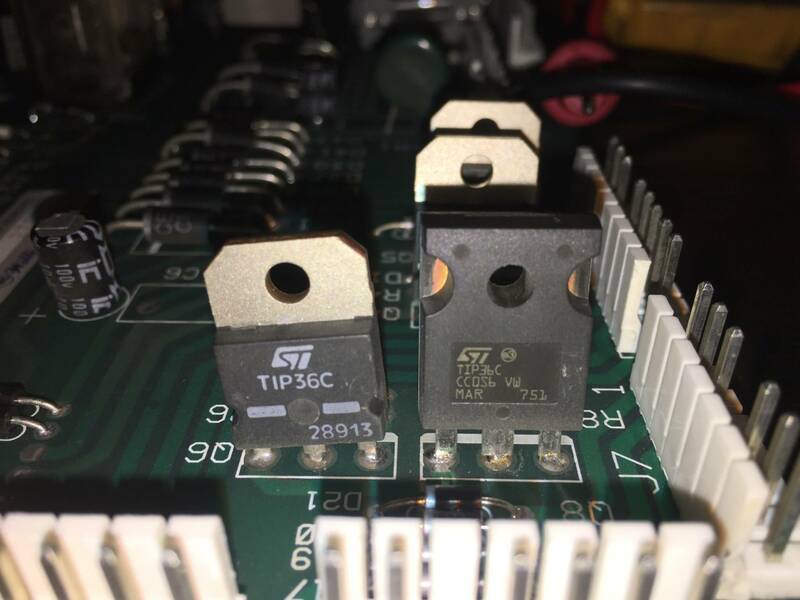 Now as a follow up, I was trying to learn about transistors and see that these on the board look like MOSFET, and the one that's there, (and probably been replaced before) is different, could that be why it went already? Do they have different properties than a mosfet? I ordered a few TIP36C transitors from mouser today already so i'd have some in place for now and later but maybe I didn't get the right item? *edit - found a bad diode at D12 also! Replace it any way its .07 cents. Always replace a diode when a coil locks on. D-23 isn't bad, the coil from the AC relay made it test bad in circuit but it will test good out of circuit. D12 & D5 replaced the diodes. Have the transistor removed and Just waiting for the replacement transistor on the mail now from mouser.